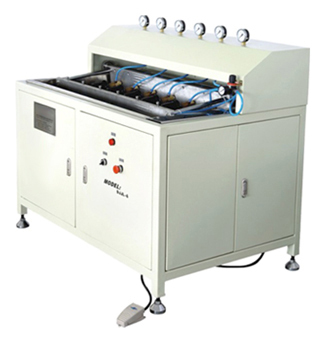 This machine is mainly used to check the leakage of the fuel filters. 1.This machine has six workstations and equipped with one set of pneumatic control system, which could satisfy the batch production. 2.Easy and quick operation through changing different plates according to different filter heights and diameters. 3.The check time is controlled by the time relay, which is high efficient.